The Arcade & Attica is a short line railroad connecting the New York communities of Arcade and North Java. (The line to Attica was severed following a flood in 1957). The A&A handles agricultural commodities and lumber products with trains powered by two classic GE 44 and 65-ton diesels. It connects with Norfolk Southern at a junction near Arcade. To bring in additional revenue, the owners added a tourist operation in 1962. Passenger trains are powered by steam locomotive number 18, a 2-8-0 built in 1920 by the American Locomotive Company at Patterson New Jersey, or sometimes by one of the vintage diesels. Passengers begin the journey at the historic Arcade depot, rolling through the countryside mostly away from roads and reminders of the 21st century. At Couriers, passengers get off the train to watch the engine run around the cars before returning to Arcade. Our program has two chapters, and we begin with examples of regular days of operation, where we’ll see views from trackside as well as onboard the train. The second chapter presents a wonderful photo charter, and shows #18 operating with a mixed consist of freight and passenger cars running to Couriers and on portions of the line normally used only for freight operations. Bonus - a third chapter has exciting close-up footage taken from the open coach, with #18 pulling the train upgrade to Arcade. Incredible sound! 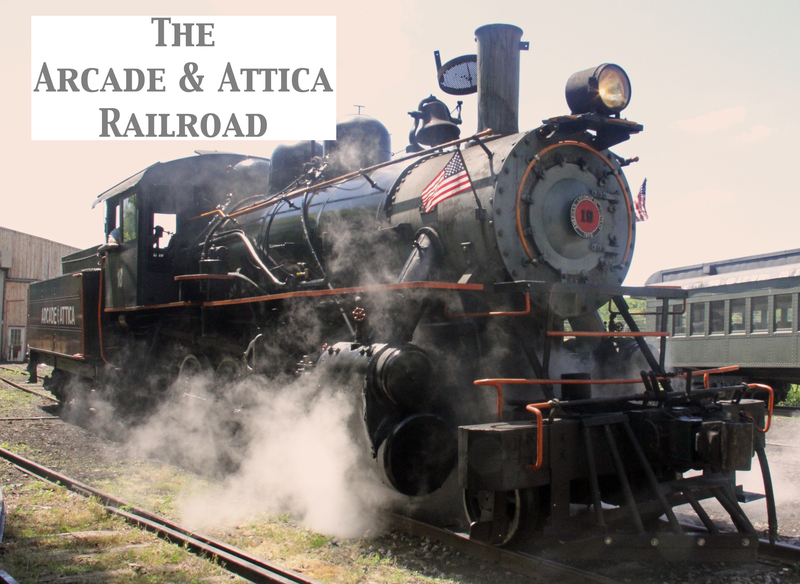 If you are nostalgic about American steam locomotives and short line railroading, the Arcade & Attica Railroad is a real classic. This Yard Goat Images DVD is specially priced. Order your copy today!